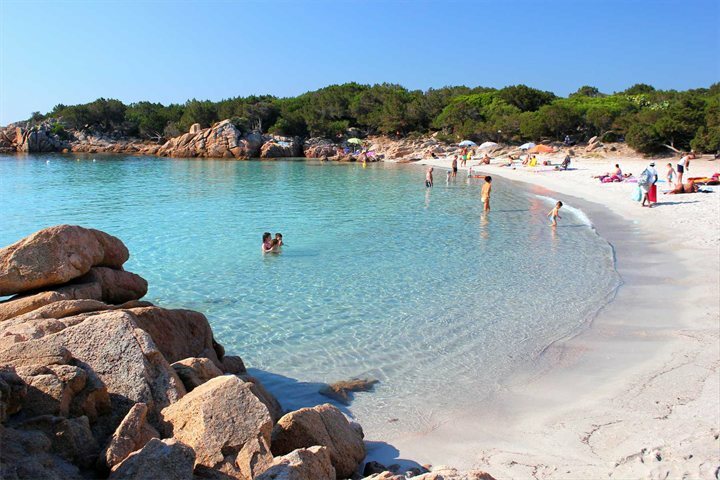 Known as ‘Little Tahiti’ for its incredible clear waters, and recognised as one of the most famous beaches in Sardinia, Cala Brandinchi makes it onto any list showcasing Sardinia's best beaches. Its shallow waters are perfect for swimming, while 700 metres of soft sand and its surrounding pine trees make for a serene environment in which to catch the rays. Located in the very south of the island, a visit to Tuerredda Beach during your Sardinia holidays will allow you to enjoy one of the most rustic coastal locations in the Mediterranean. 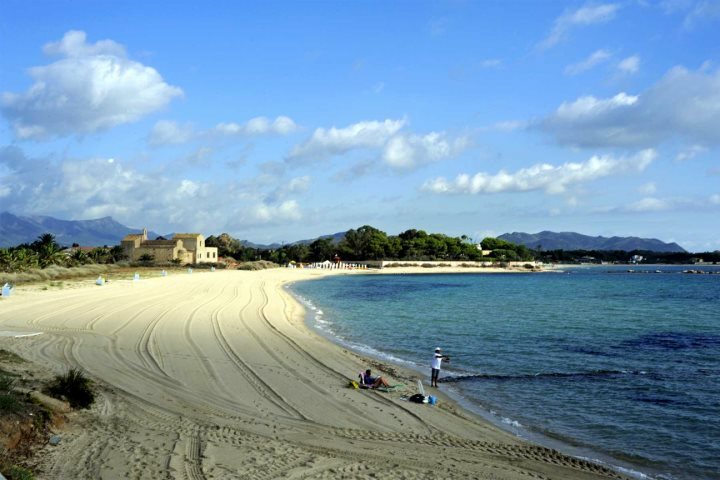 The v-shaped beach stretches for over 500 metres, presenting a wonderful strip of sand and some of the best snorkelling conditions on the island. 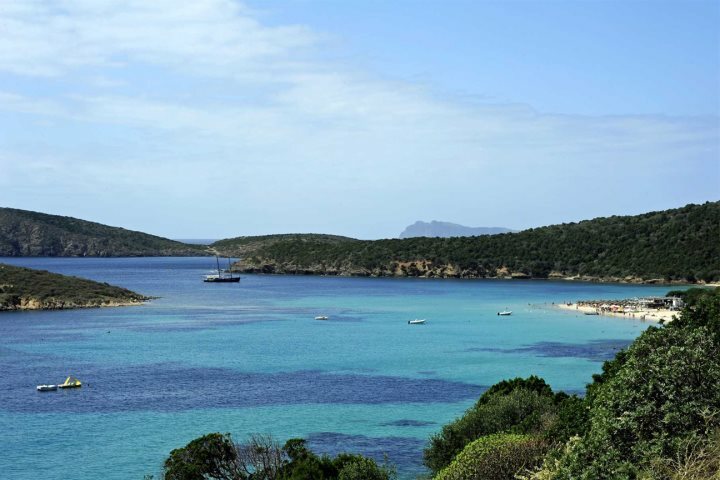 The views across to Isola Tuarredda are also particularly rewarding from this Sardinian beach. For those spending their holiday close to or in Alghero, La Speranza Beach is likely to serve as a common day trip location. This is the best beach in the Alghero area, perfect for water sports enthusiasts, or for simply relaxing on the sand; if its total rejuvenation you’re in search of. 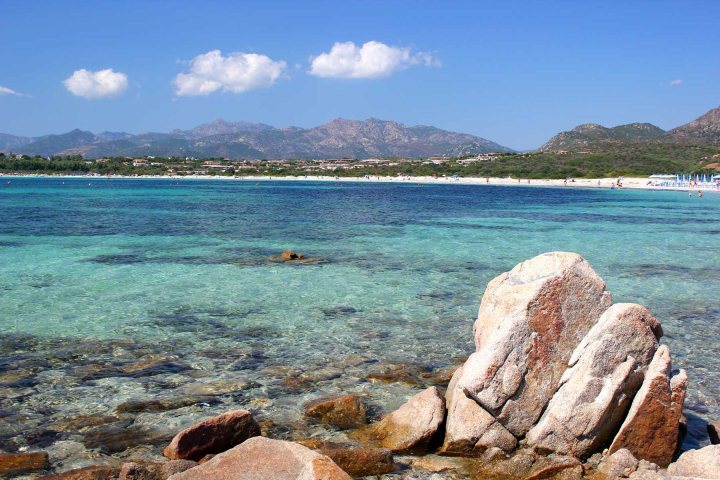 Another of Sardinia’s fantastic snorkelling spots, the clear water and rocky areas of Capriccioli Beach will allow you to spot an abundance of marine life as you explore the world beneath the waves. Back on dry land, enjoy the fine sand and the aromas of pine and olive trees wafting through the air. This is a wonderful choice for families due to the clear shallow water. 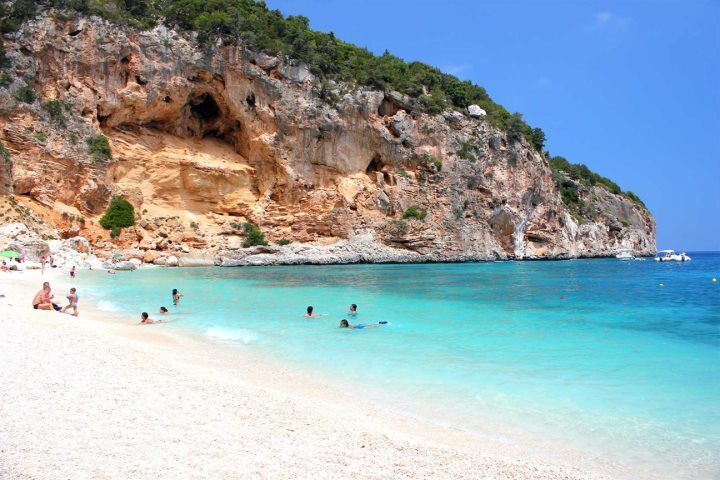 Located amid the lush countryside and beautiful landscapes of the island’s east coast, a visit to Cala Biriola will introduce you to a cosy and paradisiacal beach upon which to relax during your holiday to Sardinia. Scuba diving and snorkelling are popular in the water here, while others will enjoy the fantastic trekking to be had in the mountainous terrain inland from the beach. An unbelievably picturesque spot, so it's no wonder that Cala Biriola has made our list as one of the best beaches in Sardinia. 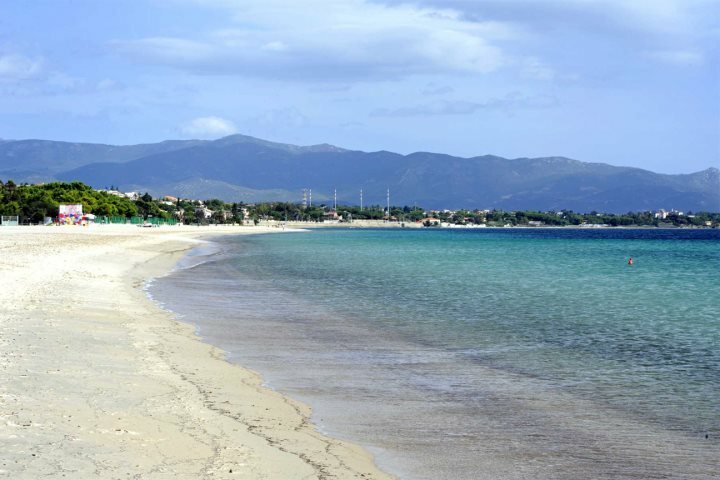 Located just a stone’s throw from Sardinia’s fascinating capital city, Cagliari, is Poetto Beach, a glorious, 7km strip of coastal perfection. An easy bus ride divides holiday-makers from Cagliari and the beach, home to a vibrant atmosphere defined by bars, eateries and exciting water sports such as windsurfing and kitesurfing. The beach is also backed by two ponds, where you can spot pink flamingos. A breathtaking cove of sand, rocky outcrops and azure blue water, Cala dei Gabbiani is a stunning coastal setting which wouldn’t look out of place in the Caribbean. Its shallow waters mean it’s ideal for young children looking to splash about, while its sheltered location ensures that many a nap can be enjoyed upon its soft sands. 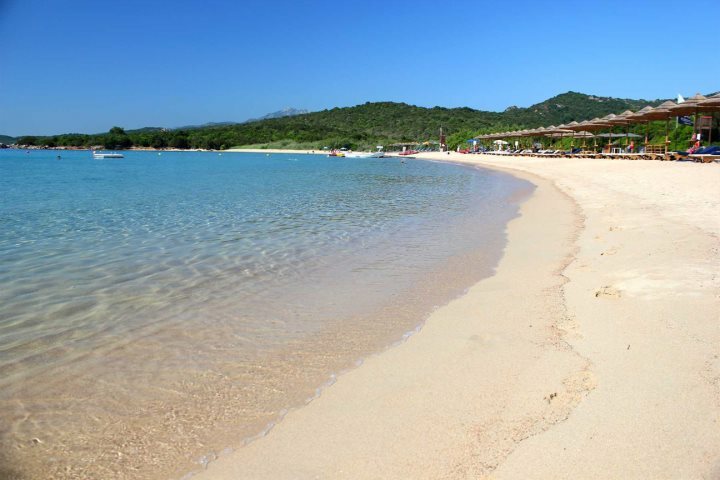 Sandwiched between two charming and traditional villages and considered one of the finest beaches of Costa Smeralda, Liscia Ruja is home to the softest sand on the island, while enjoyable water sports, aromatic eateries and the bluest of blue seas make it an even more rewarding beach to visit. Found 2.5km south-east of Pula and most famed for the archaeological site of the same name, many will be unaware that Nora is home to a wonderful beach in addition to its marvellous ruins. The beach itself hosts a long strip of sand lapped by calm and safe water, making it perfect for swimming and for families too. The beach’s other claim is its great views of the Torre del Coltellazzo – a historic coastal tower standing for over 400 years. 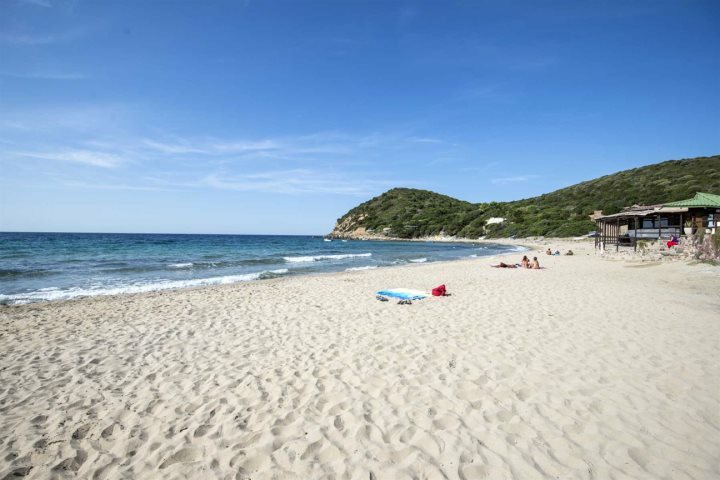 A precious, horseshoe cove found on Sardinia’s east coast, and offering some of the best snorkelling on the island, Cala Mariolu is an unforgettable beach setting, well deserving on our list of the top 10 beaches in Sardinia. 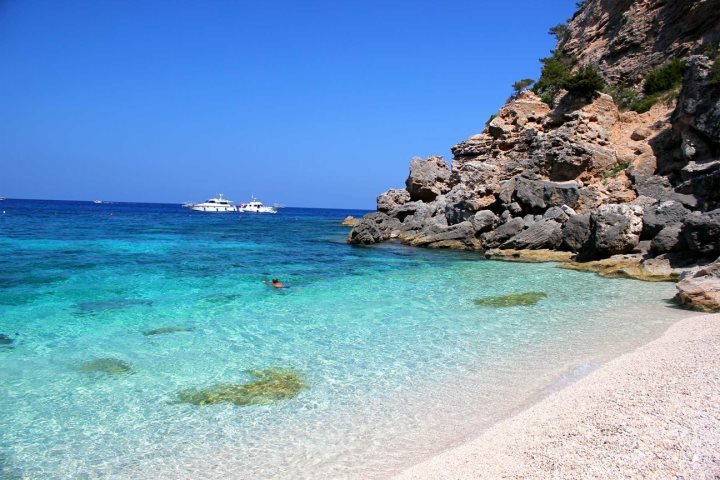 From digging your toes in the shingle to soaking in the turquoise water, Cala Mariolu is your perfect spot for a beach holiday. Tempted by these beaches? You’ll need somewhere to stay during your sun-filled escape. Check out our great range of accommodation located across the island. 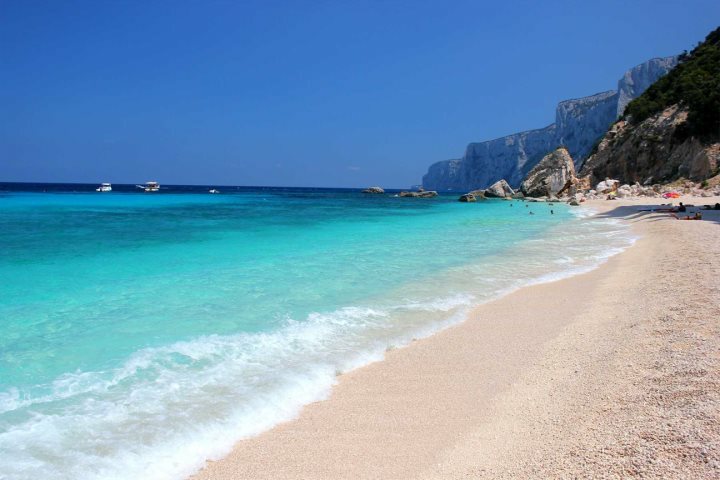 Did we miss your favourite beach in Sardinia? Let us know by commenting below.